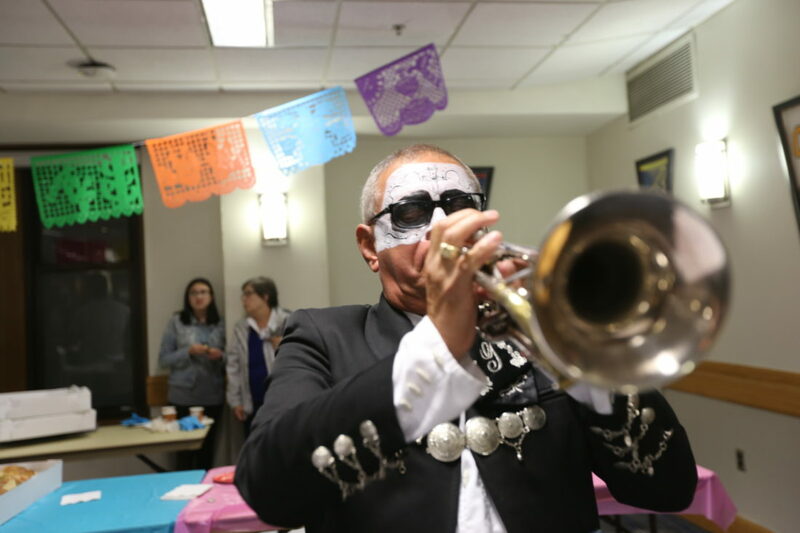 Mariachi musician Raymond Ayala plays the trumpet at the Día de los Muertos celebration on Thursday, Nov. 1, 2018, at KU's Kansas Union. 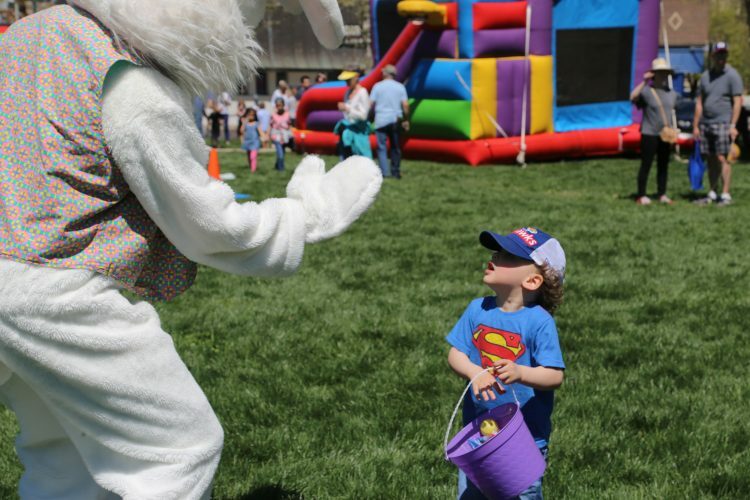 A crowd turned out Thursday at the Kansas Union to celebrate the Mexican holiday Día de los Muertos, or the Day of the Dead, with Mexican foods, crafts and mariachi music. 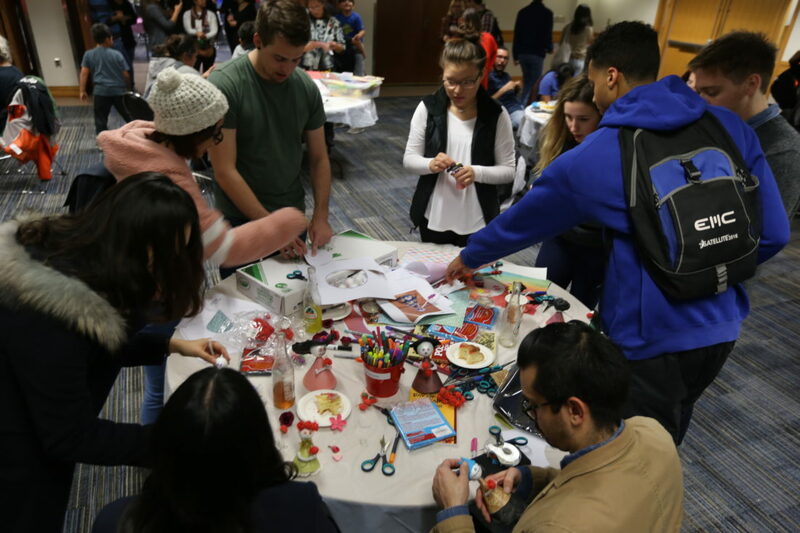 Attendees make figurines at the Día de los Muertos celebration on Thursday, Nov. 1, 2018, at KU’s Kansas Union. 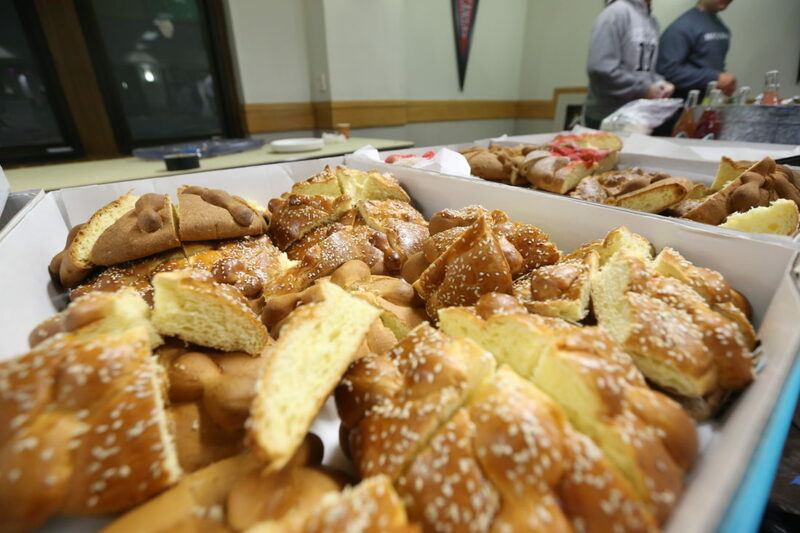 Trays of the Mexican sweet bread known as pan de muerto were available at the Día de los Muertos celebration on Thursday, Nov. 1, 2018, at KU’s Kansas Union. 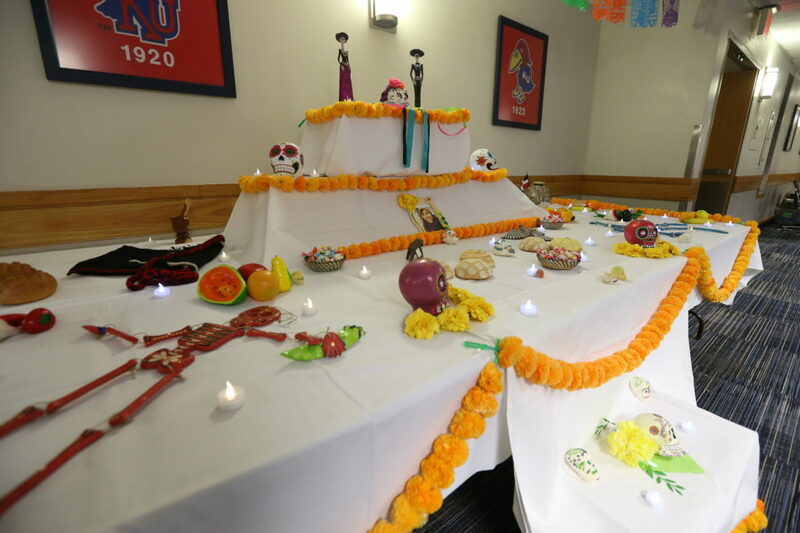 The ofrenda, a decorated altar used in Día de los Muertos observances, is shown on Thursday, Nov. 1, 2018, at KU’s Kansas Union. 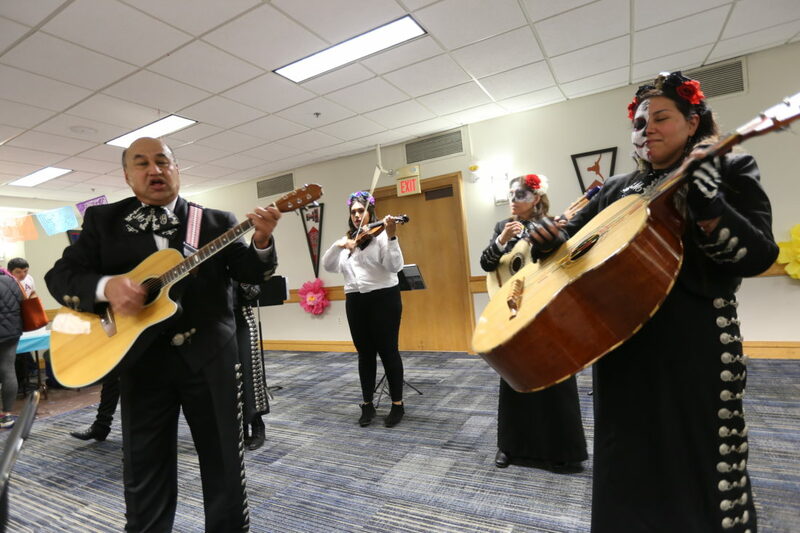 Mariachi musician Ray Ortega, left, leads the crowd in a spirited rendition of “La Bamba” at the Día de los Muertos celebration on Thursday, Nov. 1, 2018, at KU’s Kansas Union. 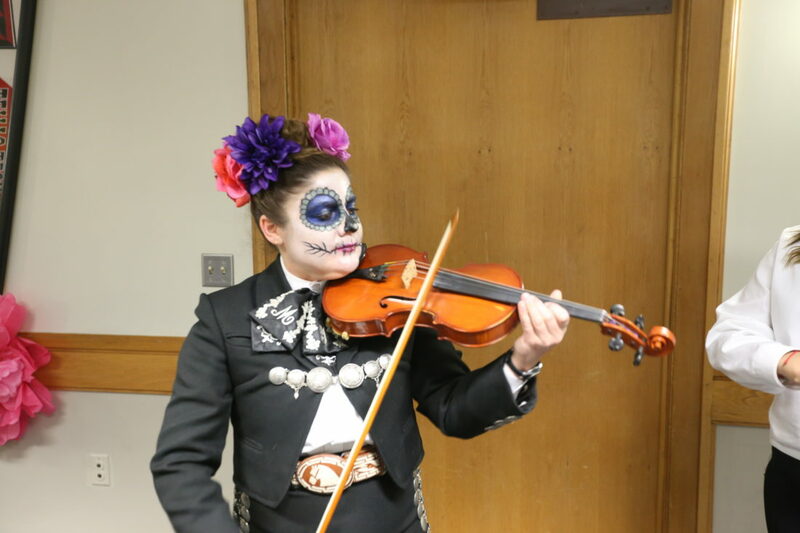 Mariachi musician Valerie Ball plays the violin at the Día de los Muertos celebration on Thursday, Nov. 1, 2018, at KU’s Kansas Union. The crowd enjoys the band Mariachi Girasol at the Día de los Muertos celebration on Thursday, Nov. 1, 2018, at KU’s Kansas Union.